Raj Jaswa is an accomplished serial technology entrepreneur. Raj currently teaches Engineering Entrepreneurship at IIT Bombay, IIT Gandhinagar, VNIT Nagpur and TiE Silicon Valley. His most recent role was CEO and Chairman of Dyyno from 2009 to 2012. Dyyno’s user-friendly communication platform seamlessly transports audio, video, text, graphics and voice for live, interactive instant sharing with audiences of unlimited size across multiple devices. From 2003-2008, he volunteered full-time for TiE Silicon Valley, serving as President from 2005 to 2008 and s a Director from 2003 to 2004. TiE is the world’s largest nonprofit dedicated to helping entrepreneurs. Raj served on TiE’s Global Board of Trustees for 5 years. Before TiE, Raj was co-founder, Chairman, and CEO of Selectica from 1996 to 2002. 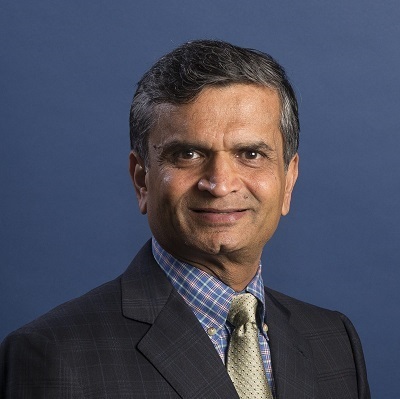 During Raj’s tenure, Selectica became the leading configuration software vendor with customers like General Electric, BMW, Cisco, Samsung, and Dell. Selectica went public in 2000 with a peak market value of $5 billion, and was named to the Forbes 500, Deloitte & Touche Technology Fast 500, Software 500, Inc 500, and Interactive Week 500. Previously, Raj co-founded Opti in 1988, where he served first as EVP of Sales and Marketing and then as President until 1996. During Raj’s tenure, Opti became the world’s largest supplier of chipsets for personal computers, powering the PCs made by IBM, Hewlett Packard, Dell, and Compaq. Opti went public in 1993 with a peak market value of $350 million. Earlier in his career, Raj worked for Intel, General Electric, and Chips & Technologies. He received a Bachelors degree in Electrical Engineering from the Indian Institute of Technology in Bombay , a Masters degree in Electrical Engineering from the University of Toronto , and an MBA from Stetson University.